Reliable and durable, the DJINN AXESS quickdraw is especially suited for rock climbing. DJINN carabiners have a wide rope contact zone to limit rope drag and provide greater durability for both carabiner and rope. The design of the bent gate allows the rope to be clipped efficiently. The Keylock system prevents the carabiner from snagging when clipping and unclipping. 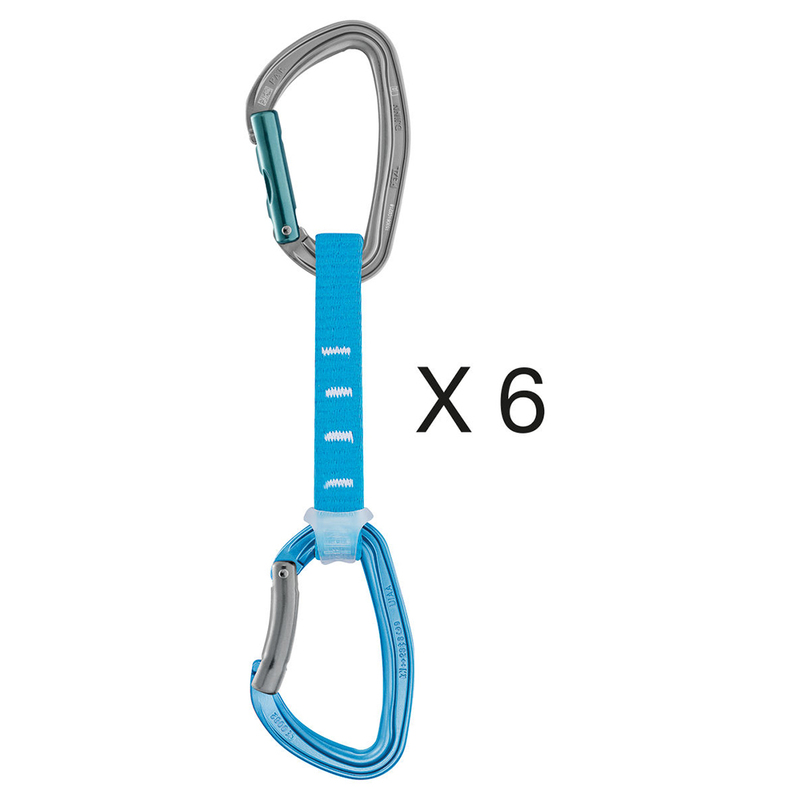 The pack contains six 12 cm DJINN AXESS quickdraws with blue bent gate carabiners.